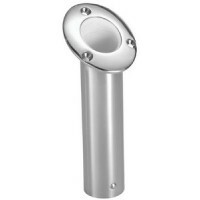 Chr fw rod holder perm mnt- 6 Description: Rod Holder..
Base plate-black anodized alum Depth: Black Anodized Base Plate..
Base plate-chrome for ap100 Description: Chrome Base Plate..
Ss rod holder perm mount - 10 Depth: 10"..
Ss rod holder perm mount- 5.5 Depth: 5-1/2"..
Ss rod holder perm mount-7.75 Depth: 7-3/4"..
Threaded female end fits A-series aerator pump outlets and Tsunami threaded outlets. Barbed end acco..
30° Angle. Durable plastic construction. Fits: Rod grips under 1-3/4" dia.Fasteners: #10. Size: 9" L.. Features a superior ergonomic design and easy to find rapid release latch mechanism. The large, easy.. Single valve spray head. Constructed of ABS plastic. Pack: BulkHose: 3/4" IDDescription: 1 valve.. Single valve spray head. Constructed of ABS plastic. 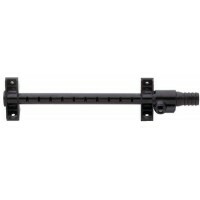 Pack: AftermarketHose: 3/4" IDDescription: 1 va..
Aerator remote bracket 3/4 in Size: 3/4"..
Use on livewells that have built-in overflows or recirculating systems. Mounts on side of tank. 90° .. 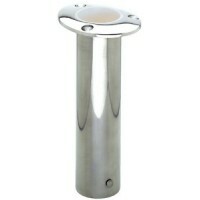 Lifetime warranty polished Cast 316 Stainless Steel construction. Open end, heavy duty for use in la.. Stainless steel with black plastic liner. Can be used on vertical or horizontal rails. Size: 9" L x .. Fit a variety of mounting surfaces including rails. Constructed of extruded aluminum. Description: C.. 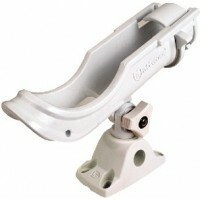 Interchangeable mounting bases fit "2-in 1", Pro Series and Mini Rigger fishing systems.50227: Flush.. Features fixed vertical angle to optimize rod positioning. Smaller size is perfect for medium and li.. Fit a variety of mounting surfaces including rails. Constructed of extruded aluminum. Description: F.. Fit a variety of mounting surfaces including rails. Constructed of extruded aluminum. 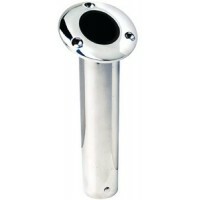 Description: 2..
Attwood stainless steel rod holders are available in 30..
10" long ABS black plastic tube with stainless cap. 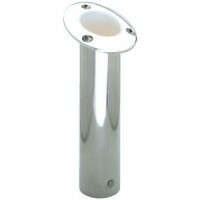 Stainless look at a fraction of the price! Rubbe..
Red led livewell light LED Color: Red..
White led livewell light LED Color: White..
Amber led livewell light LED Color: Amber.. Provides on/off cycling of aerator pump to keep bait/catch lively and reduce battery drain. Switch h.. Fold down for convenient and compact storage or extend for added reach. A flip of the handle opens a.. The BI-AXIS mount takes the Pro Series to the next level with the ability to mount in multiple confi..
1200 motor cartridge 12v dc Model: Fits Model #: T1200Outlet: 1200GPH: ..
500 motor cartridge 12v dc Model: Fits Model #: T500Outlet: 500GPH: ..
800 motor cartridge 12v dc Model: Fits Model #: T800Outlet: 800GPH: .. Holds up to 3 fishing rods. Closed cell foam insert protects rod. Mount vertical or horizontal. 8-3/..
Sure grip 5 deg angle 4 ss Mount: 4" HorizontalAngle: ..
Rod holder wire form 8 in. 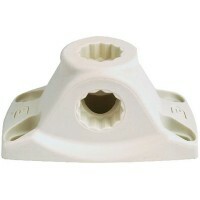 ste Mount: 8" HorizontalAngle: ..
Rod holder wire form 4 in. ste Mount: 4" For trollingAngle: ..
Sure grip 10 deg angle 4 ss Mount: 4" HorizontalAngle: ..
Dual outlets allow you to run 2 livewells or 1 livewell and 1 low-pressure washdown. 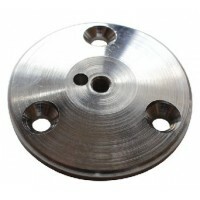 Tsunami aerator..
Tsunami 1200 aerator 1 seacock Model: T1200 for 1" seacockOutlet: 1-1/8"GPH: 1200..